Do you have a dispute with someone that you can’t seem to get settled by yourselves, or are you going through a contested divorce? Rather battle it out in Court, why not consider mediation as an alternative? A mediator can save you a lot of money, time, aggravation and ill will, and in the case of a contested divorce, mediation is usually required by the Court. To simplify things, mediation is an informal attempt at resolution, not binding on the parties (unlike arbitration) unless the parties reach an agreed settlement. The mediator is not on either party’s side, and is neutral. His (or her) sole purpose is to work with both parties to help them resolve their dispute in an agreeable way. There are two different types of mediators, general civil mediation and family dispute mediation, usually in the context of a divorce. If litigation has already commenced the mediated agreement is often made a judgment of the Court and the case is settled without going to trial. In the case of a divorce, the mediated agreement (if there is one) is also made a judgment of the Court. In any event, unless there is a mediated agreement between you and whoever is on the other side, you’re not stuck with a decision you haven’t made. While anyone can mediate many disputes, a Rule 31 Listed Mediator is in a special category of mediators who undergo extensive specific training mandated by the Tennessee Supreme Court. When you choose a Rule 31 Listed Mediator, like Thomas Boyers, you can rest assured that you have someone who knows how to help you reach a settlement. Tom has successfully mediated numerous disputes, and uses the skills and knowledge he has acquired over years of practicing law to help people to communicate through mediation to reach positive results that simply could not have occurred in a battle before a judge or an arbitrator. He even has specifically designed his office with two conference rooms, just to facilitate mediation. Mediation makes sense from an Economic standpoint. When you have a dispute with someone that you can’t settle between you, mediation is often your best course of action. Litigation (fighting it out in Court) is expensive. Mediation is generally much less expensive than litigation, and usually less expensive or other forms of fighting. If you want to save money … mediate. We live in a time when the Courts are clogged, and it may take as long as a year or more to get a court date, and many years if a case is appealed. The mediation alternative can often dissolve a dispute much, much more quickly. If you want to get on your business or your life, mediation may be the most desirable way to producing rapid results and help you move on. There is the saying that successful dispute resolution happens when each of the parties is a little unhappy. Litigation often results in an all-or-nothing judgment from the Court, or a judgment that makes no one even close to happy. You are generally more likely satisfied with solutions that have been mutually agreed upon, as opposed to solutions that are imposed by a third party decision-maker. Mediation helps make that possible. People (or companies) usually comply with mediated agreements. It’s a lot easier to comply with an agreement that you (or the other party) has negotiated, than with a Court Order. Parties who have reached their own agreement in mediation are generally more likely to follow through and comply with its terms than those whose resolution has been imposed by a third party decision-maker like a Judge. This can save you a lot more time and money in the long run. 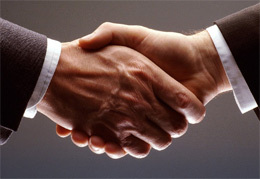 A settlements arrived at through mediation allows you to address both legal and extra-legal issues. Mediated agreements often cover issues that wouldn’t necessarily even be brought in or allowed in a court of law. You can tailor your settlement to your particular situation, which again, can save you a lot of time and money. If you negotiate your own settlement, have more control over the outcome of the dispute. Gains and losses are more predictable in a mediated settlement than they would be if a case is arbitrated or litigated. People who negotiate their own settlements often feel more powerful than those who use rely on the Courts to settle their differences. Mediation negotiations let you make the decisions, rather than rely on Judges or arbitrators. This control allows you to preserve an ongoing relations or terminate a relationship in a more amicable way. One standard many people use to make decisions in their lives is, “Life is too short …”. You may have a dispute with someone or some company, but that doesn’t mean you want to destroy the relationship (as often happens in litigation). A mediated settlement can often preserve a working relationship may might not survive the win/lose decisions that usually come out of court proceedings. But even if you want to terminate the relationship, why not do it in a way that at is amicable enough to keep the door open down the road? A mediated settlement can often accomplish that goal. A mediated settlement means a workable compromise. If you mediate your dispute, you can attend to the fine details of implementing the settlement. You can specially tailor procedures for how the settlement will be carried out. Again, this increases the likelihood that all the parties will fulfill their obligations under the agreement. If you want these benefits, and if you want to talk to Tom about your mediation case, call him at (615) 206-8663, or contact him through the contact form located below or here.